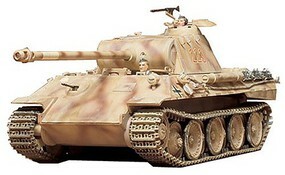 Shop online for over 21,500 plastic models at discounts up to 70%. Cars / Trucks / Vehicles is the most popular of the 15 plastic models categories, then Parts/Acc., and Airplanes. Tamiya is ranked #1 out of 198 plastic models manufacturers, followed by Trumpeter, and Revell-Monogram. 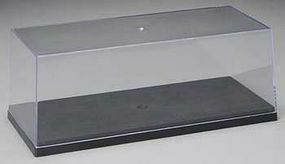 This is the Aircraft Display Stand from Trumpeter. Suitable for Ages 14 & Up. This is the 1/25 Scale Display Case from AMT. 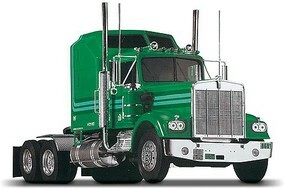 This is the 1/25 Scale Kenworth W900 Plastic Model Kit from Revell. Suitable for Ages 10 & Up. 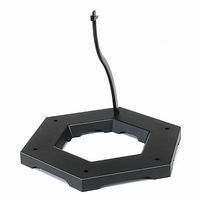 This is the Aero Display Stand from Academy. Suitable for Ages 14 & Up. 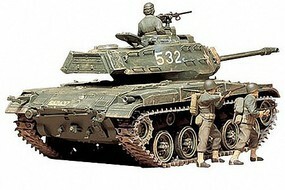 This is the 1/35 Scale US M41 Walker Bulldog Plastic Model Kit from Tamiya. Suitable for Age 14 & Older. This is the 1/48 Scale Marine UH-34 D Helicopter Plastic Model Kit from Revell. Suitable for Ages 10 & Older. This is the 1/25 Scale '53 Checy Panel Plastic Model Kit by Revell. Suitable for Ages 12 & Up.:. This is the 1/18 Scale Car & 1/48 Scale Plane & 1/35 Scale Tank Display Case from Trumpeter Models. This is the Gundam Exia 00 Bandai PG Plastic Model Kit from the Gundam Series by Bandai. Suitable for Ages 15 & Older. This is a plastic model kit of a 1/35 Scale German Machine Gun Troops, part of the Tamiya Military Miniatures Series. For modelers 10 years of age and up. This is a plastic model kit of the 1/35 Scale U.S. Willy's MB Jeep from Tamiya. This is the 1/12 Scale Custom Chopper Set Plastic Model Kit by Revell. Suitable for Ages 14 & Older. This is the 1/25 Scale 1966 Chevy Nova Pro Street Plastic Model Kit by AMT. Suitable for Ages 10 & Up. This is a 1/350 scale A-6E Intruder set from Trumpeter. This is a plastic model kit of the 1/35 Scale German Hanomag Sd.Kfz. 251/1 from Tamiya.